Replacing old coal power stations with new "ultra-supercritical" stations could help meet Australia's greenhouse gas targets, according to research commissioned by Resources Minister Matt Canavan. Other analysts have reacted with scepticism. This is not the first time Canavan has put his weight behind increasing Australia's coal production to "help the environment". But technological promises and government support for coal's bright future stretch back almost 40 years, long before the election of Tony "coal is good for humanity" Abbott, and have been entirely bipartisan, as have claims that Australian coal is especially clean. Fortunately we use mostly – but not entirely – the cleanest coal in the world. But that doesn't mean we can't improve the technology and so limit how much carbon dioxide is blown up the spout. After Australia's first climate policy, the National Greenhouse Response Strategy, was agreed in December 1992, it quickly became clear that the Commonwealth was not going to stand in the way of state-level support for new coal-power stations. On March 21 1994, the UN Framework Convention on Climate Change became international law. Coincidentally, Singleton Council in New South Wales approved a new coal-fired power station. Greenpeace launched a legal challenge, but this failed in November 1994. The State Electricity Commission of Victoria's greenhouse reduction plans died with privatisation. It is debatable, but Labor perhaps had more concern – for both climate change and coalminers' jobs – than the incoming Howard government. The Prime Minister's Science Engineering and Innovation Council in 1999 suggested Australia ratify the Kyoto Protocol and see it as an opportunity and spur to new technologies. This fell on John Howard's deaf ears, but a December 2002 report, chaired by Rio Tinto's chief technologist and government chief scientist Robin Batterham, was taken up, and the enthusiasm for carbon capture and storage (CCS) was born. A COAL21 plan followed in 2004, and the Australian Coal Association Low Emissions Technologies group was formed. Howard's enthusiasm for coal over renewables was such that he even called a "secret" meeting of fossil fuel producers to advise on lower emissions technologies. Labor's innovation in 2007 was to say yes to both. As opposition leader, Kevin Rudd announced he would bring in a National Clean Coal Centre. Had the Coalition won the 2007 election, it would have removed the Renewable Energy Target and replaced it with a scheme that would have allowed coal-with-CCS to be considered "low carbon". In 2008 the coal association spruiked "NewGenCoal" in television adverts. It all started to go wrong in 2009, shortly after the launch of the expensive and controversial Global Carbon Capture and Storage Institute, Rudd's brainchild. Geology intervened as the Queensland ZeroGen project ended in late 2010, when the state government decided to stop throwing taxpayers' money at it. And in 2013 it emerged that the coal association's funding for low-emissions technologies had been broadened to include "promoting the use of coal". The first is the "hype cycle" – the observation that initial unrealistic enthusiasm for a shiny new technology goes up like a rocket and down like a stick, followed by a more gradual, tempered enthusiasm over time (for a recent appraisal see here). Thirdly, supporters of incumbent technologies highlight teething problems in the challenger technologies, in what academics call "discursive battles". It's fair to guess three things. 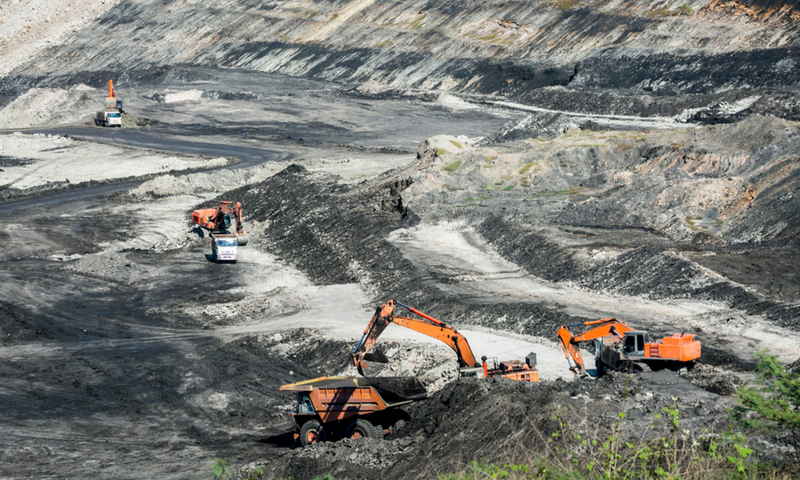 Promises of clean coal, high-efficiency, low-emissions (HELE) coal power and bio-energy carbon capture and storage(BECCS) will escalate, but perhaps learning from the public mockery of the last two efforts – Australians for Coal and Little Black Rock. Protests, by people who agree with James Hansen's 2009 assessment that coal-fired power stations are death factories, will continue. Legal challenges will escalate. Governments – state and federal – will keep wrestling with the greased pig that is the "energy trilemma". 2017 will be bloody, and noisy.